WINDOWS XP SCREENSHOT DESCRIPTION: The Setup display your system disk available space. 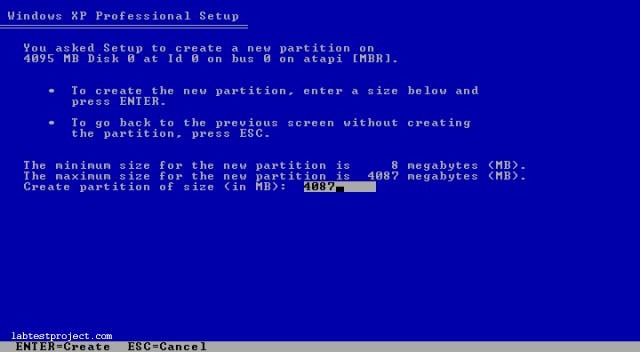 To create partition, enter the amount of disk space for the partition size to be create. Then press Enter key.